Start off your visit on the 15th (Thu): delve into the lush surroundings at Fanal Ancient Laurel Forest, don't miss a visit to Levada Caldeirao Verde, and then explore the striking landscape at Reserva Natural da Rocha do Navio. To see maps, more things to do, other places to visit, and other tourist information, refer to the Sao Jorge travel itinerary planner. December in Sao Jorge sees daily highs of 22°C and lows of 17°C at night. Finish your sightseeing early on the 15th (Thu) so you can travel to Canico. Take a break from Canico with a short trip to Kayaking & Canoeing in Canical, about 38 minutes away. To see where to stay, other places to visit, reviews, and other tourist information, go to the Canico custom trip planner. Use the Route module to find suitable travel options from Sao Jorge to Canico. In December, daytime highs in Canico are 22°C, while nighttime lows are 17°C. Wrap up your sightseeing on the 18th (Sun) early enough to travel to Funchal. Funchal is known for gardens, nature, museums, wineries, and religious sites. Your plan includes some of its best attractions: take an exotic tour of a safari tour, explore the striking landscape at Cape Girao, contemplate the long history of Monte Palace Tropical Garden, and take your sightseeing to a higher altitude at Pico do Arieiro. For other places to visit, traveler tips, photos, and more tourist information, go to the Funchal holiday planner. The Route module can help you plan travel from Canico to Funchal. Expect a daytime high around 23°C in December, and nighttime lows around 18°C. 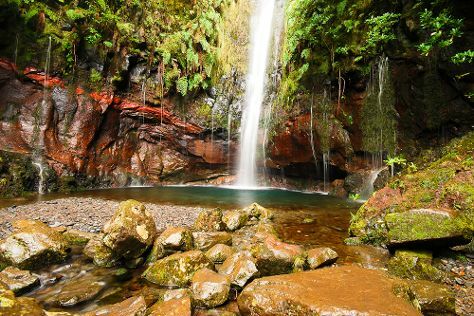 Finish up your sightseeing early on the 27th (Tue) so you can travel to Calheta. Calheta is a municipality on the southwest coast of Madeira, Portugal. On the 28th (Wed), soothe aching muscles at some of the top local wellness centers, then hike along 25 Fontes and Cascada da Risco, then pause for some serene contemplation at Igreja de Sao Bento, and finally make a trip to Bica Da Cana. To find photos, reviews, ratings, and tourist information, go to the Calheta tour planner. Explore your travel options from Funchal to Calheta with the Route module. In December, daily temperatures in Calheta can reach 22°C, while at night they dip to 17°C. 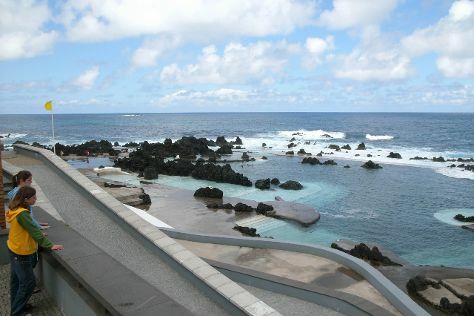 Wrap up your sightseeing on the 28th (Wed) to allow time to travel to Porto Moniz. 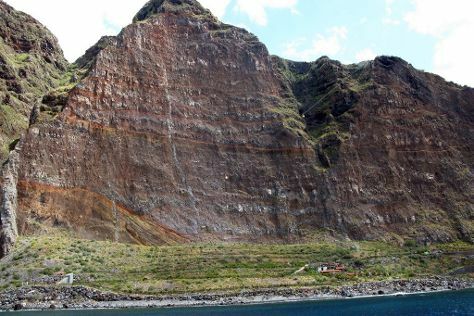 Kick off your visit on the 29th (Thu): identify plant and animal life at Laurel Forest (Laurisilva), then Head underground at Sao Vicente Caves & Volcanism Centre, and then take some stellar pictures from Veu da Noiva Viewpoint. Here are some ideas for day two: explore the gorgeous colors at Lava Pools, then admire nature's wide array of creatures at Aquario da Madeira, and then have some family-friendly fun at Mini Eco Club. To see reviews, traveler tips, other places to visit, and other tourist information, refer to the Porto Moniz itinerary builder. Use the Route module to find suitable travel options from Calheta to Porto Moniz. Expect a daytime high around 22°C in December, and nighttime lows around 17°C.